Clean, quiet and comfortable. Very accommodating to kids. 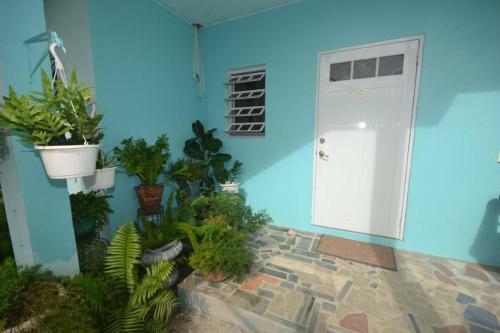 Good value, central location on the island, quiet, Lionel is a great host. Bed was good envrioment wasgood most of all the host was friendly n approachable. Great value and able to accommodate a group of us. Host Lionel was happy to do an airport pick up and for a small fee took us to the cricket each day. Very green location and had a lounge and kitchen and fridge so could cook for ourselves. Very affordable accommodation, it is basic but clean and was perfect as a base for watching the test match. Buses are just a 10 minute walk away to get into St Johns or English Harbour, Lionel is a great host and airport pick up and drop offs were a big plus. Taxis to and from the beaches mount up each day but if you are an experienced traveller this is a great base location and allows you to enjoy Antigua at the fraction of the cost of the beachside hotels and apartments. The owner went the extra mile to meet our EVERY need! We were on the ground floor, but, Lionel still helped with our luggage. Lionel provided all local transport for the airport transfers, quick island tour, and stops to buy local food and drinks for a reasonable additional fee. Lionel was very knowledgeable about Antigua as he was a retired teacher among other things. Lionel accommodated our extra request to stop to buy local food. Though our room was on the ground floor, Lionel still helped with our luggage. The location had a lot of fruit trees and wild chickens which were refreshing and reminded us of our island roots. Lionel responded to our many questions about Antigua and his property. We thought the host ( Lionel) was very nice and helpful.the property was very clean and had air conditioning which for us was a must. Lock in a great price for Lamblion Holiday Apartment – rated 8.7 by recent guests! Lamblion Holiday Apartment This rating is a reflection of how the property compares to the industry standard when it comes to price, facilities and services available. It's based on a self-evaluation by the property. Use this rating to help choose your stay! The air-conditioned accommodations at this property in Freeman’s Village come with cable TV, a balcony and a fan. They also feature a seating area, wardrobe and fully equipped kitchen. 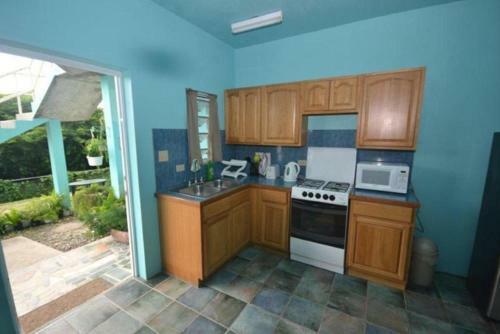 Guests can cook at home, with a large supermarket only 3.1 mi away, or explore the many restaurants located within 1.2 mi of this tropical property. The famous cultural heritage site of Nelson’s Dockyard is only a 15-minute drive from the property, and there is a major golf course just 6.8 mi away. St. John’s city center, where guests can enjoy shopping and sightseeing, is just 8.1 mi from the property. 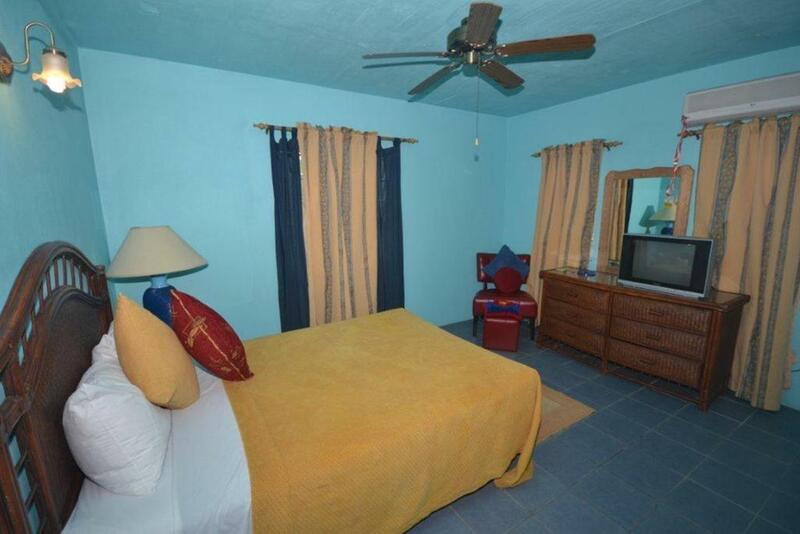 The property can also help visitors arrange outdoor activities, including scuba diving and snorkeling. 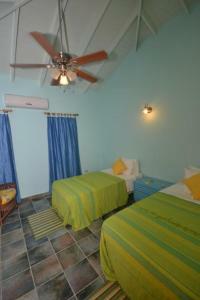 VC Bird International Airport is 5.6 mi from Lamblion Holiday Apartments. This property also has one of the top-rated locations in Freemans! Guests are happier about it compared to other properties in the area. This property is also rated for the best value in Freemans! Guests are getting more for their money when compared to other properties in this city. When would you like to stay at Lamblion Holiday Apartment? This air-conditioned Suite comes with a seating area, balcony and a cable TV. It also features 1 queen bed, a fully equipped kitchen and a wardrobe. This spacious, air-conditioned One-Bedroom Apartment comes with a seating area, balcony, dining room and cable TV. It also features 1 queen or 2 twin beds, a fully equipped kitchen and a wardrobe. There is complementary WI-FI Internet. 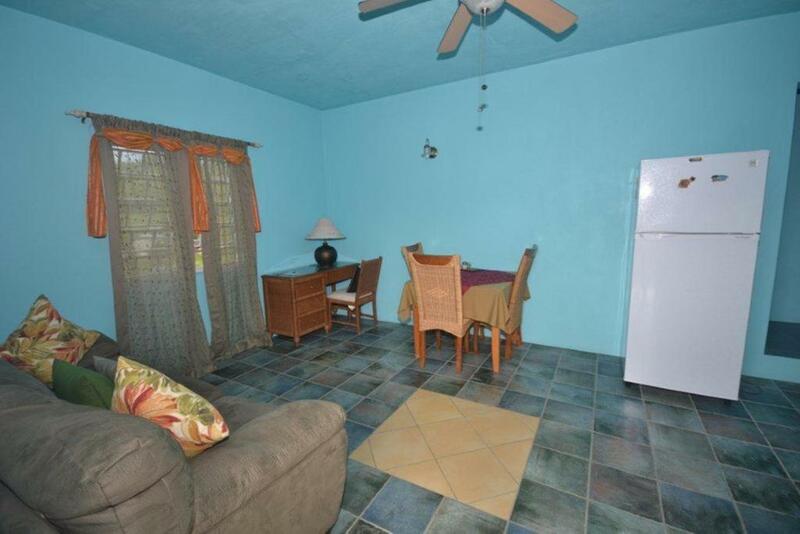 This spacious, air-conditioned Two-Bedroom Apartment comes with a seating area, balcony, dining room and a cable TV. It also features 1 queen, 2 twins and 1 sofa bed, as well as a fully equipped kitchen and a wardrobe. This spacious Two-Bedroom Apartment comes with a seating area, balcony, dining room and a cable TV. It also features 1 queen, 2 twins and 1 sofa bed, as well as a fully equipped kitchen and a wardrobe. This spacious Family Apartment comes with a seating area, balcony, dining room and a cable TV. It also features 1 queen or 2 twin beds, a fully equipped kitchen and a wardrobe. In 2007 ICC Cricket World Cup came to the Caribbean and Antigua was one of the islands that hosted matches in the second round of matches. 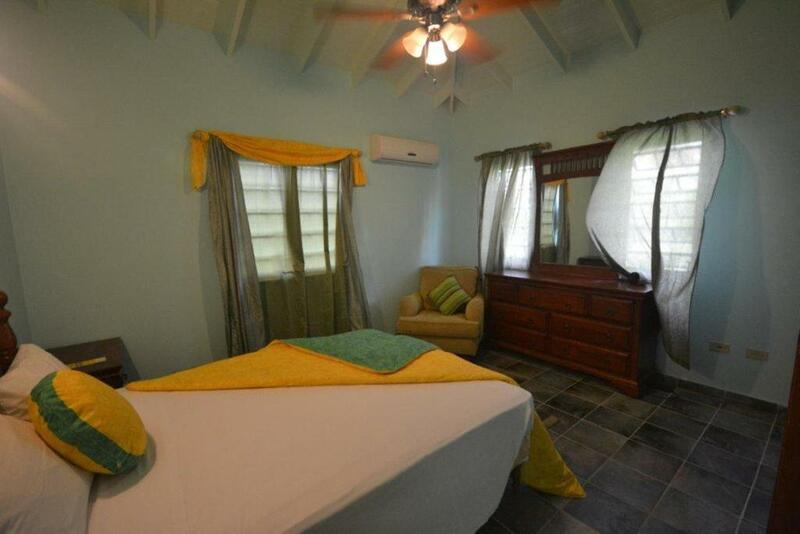 We build a new property to cater for the many cricket fans that came to Antigua to watch World Cup Cricket in Antigua. It was delightful to see Bangladesh in this round of games at the expense of India, the great Cricketing Nation. Our accommodation is managed by a couple who has been together for more than 30 years through marriage. Lorilyn and Lionel have 3 adult ladies and grand-children that are increasing with each passing year. Our eldest 3rd generation is a teenager that has begun to learn the business of hosting beautiful people from exciting places on earth. It is very educational to learn of customs and cultures of places like Italy, Australia, India, United Kingdom, U.S.A, Canada, The Caribbean Islands, Africa and China. House Rules Lamblion Holiday Apartment takes special requests – add in the next step! Lamblion Holiday Apartment accepts these cards and reserves the right to temporarily hold an amount prior to arrival. Please inform Lamblion Holiday Apartment of your expected arrival time in advance. You can use the Special Requests box when booking, or contact the property directly using the contact details in your confirmation. Location was close to the cricket stadium but a distance to main areas on the island. 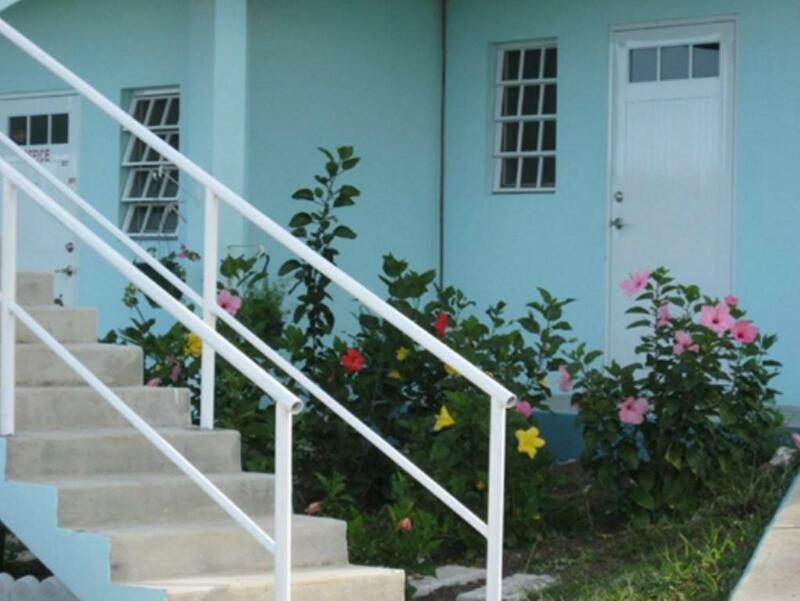 Stairs to each property were a bit slippy when wet and overall could be updated but if you are looking for an Antiguan experience this is definitely spot on. It was acceptable, but, the shower area could be better. The water was not coming out of the shower head evenly. This scared my son with special needs a little. There could have been a faucet below the shower head. The drain area had some sharp edges that may hurt some guests who are not paying attention. In fairness to our hosts, I've seen this shower setup in other properties in other islands as well. It was acceptable, but, the shower area could be better. The water was not coming out of the shower head evenly. There could have been a faucet below the shower. The drain area has some sharp edges which may hurt guests if they are not paying attention. The entrance to the property needs to be paved to allowed for easier access to vehicles. The interior of the apartment appeared to be a bit of a work in progress. The curtain in the living room was a bit filthy. The apartment was very spacious and equipped with basic necessities like toiletries, iron etc as indicated on confirmation page. Pick up to and from the airport was punctual. Driver was kind enough to permit us time to stop at the supermarket to get a few bits and bobs for our overnight stay. TV was functional, but the size was a little small for the room. Took a little time to cool the room down since the air conditioner was not turned on till I entered the room which is normal I would expect. The size of the room was great, very comfortable, peaceful location, great staff, Lionel helped me find the place when I got lost driving my rental car at night on the first day. Centrally located and close to my business location, easy parking.